Comments Off on House numbers – not just for pizza. House numbers – not just for pizza. 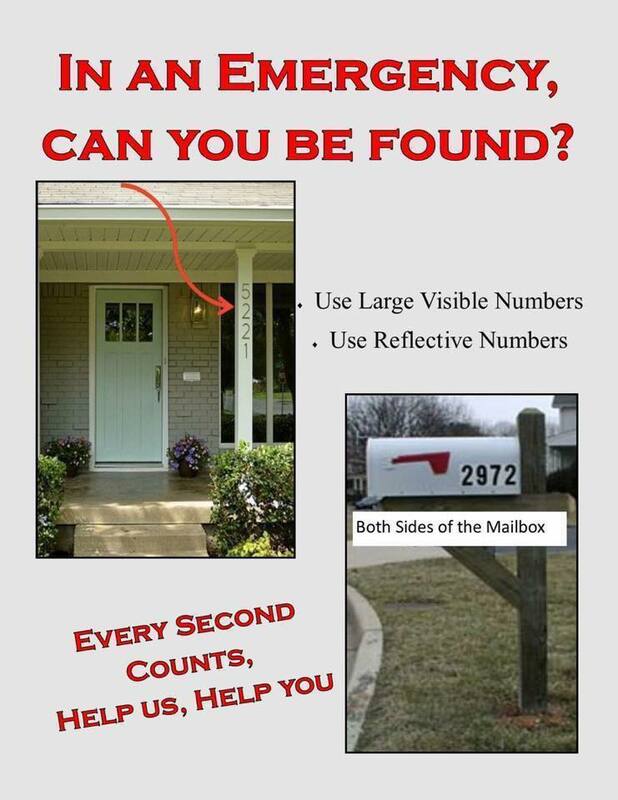 Easy to see house numbers help us locate you when you need it most. Help us find you! Comments Off on It’s going to be a chilly weekend…. It’s going to be a chilly weekend…. There’s a possibility of ice & snow this weekend. the latest forecasts as the details will likely continue to change. As always, please drive safe, and if you can avoid driving at all, even better. If you don’t reeeeeally have to go out, it’s a perfect weekend to stay home with some hot chocolate and Netflix. Comments Off on NHTSA adds new information on car and booster seat recalls. NHTSA adds new information on car and booster seat recalls. There have been several recent recalls by the National Highway Traffic and Safety Administration. Potentially thousands of car seats and booster seats are affected. Comments Off on Have a happy and safe Thanksgiving! This holiday week and weekend is one of the busiest travel days of the year, so please drive safe. Allow extra time to get to the airport if you’re flying out, and new this year is the TSA letting you check airport security wait times with their mobile app. It’s also the holiday that some of us break out our culinary skills. Along with that comes the increased risk of kitchen accidents, especially with turkey fryers. State Farm (who has a vested interest in helping customers avoid accidents) has some important safety tips for frying a turkey. And apparently there are enough turkey fryer accidents on military facilities that the Air Force has put out some turkey fryer guidelines as well. If you don’t have a turkey fryer, a smoked turkey may be a delicious alternative. Or go traditional with a recipe from Butterball. Whatever you’re eating or wherever your travels may take you, we hope you all have a happy and safe Thanksgiving! Comments Off on When to stop for a school bus. When to stop for a school bus. 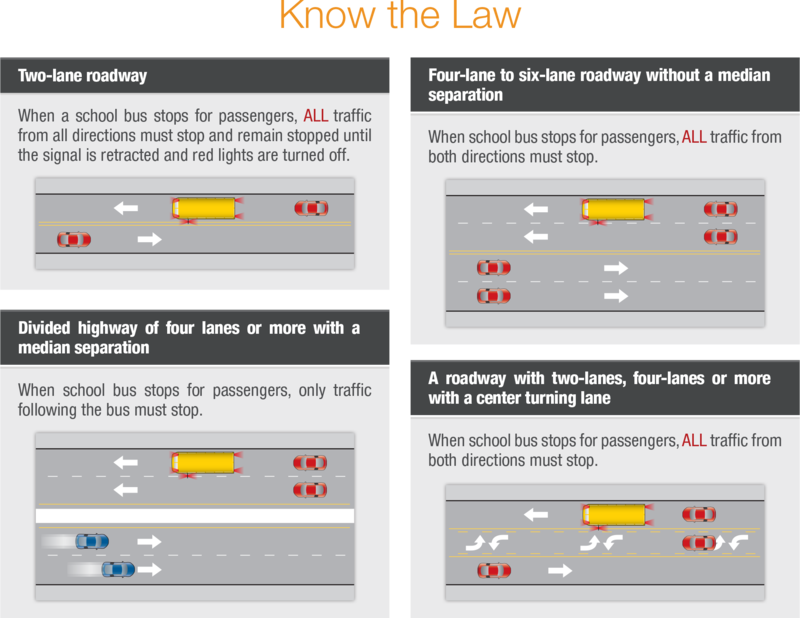 Here’s some information on when you should stop for a school bus. If you see someone slowing down and stopping in front of you on the opposite side of the road, pay close attention because they might be stopping for a school bus.